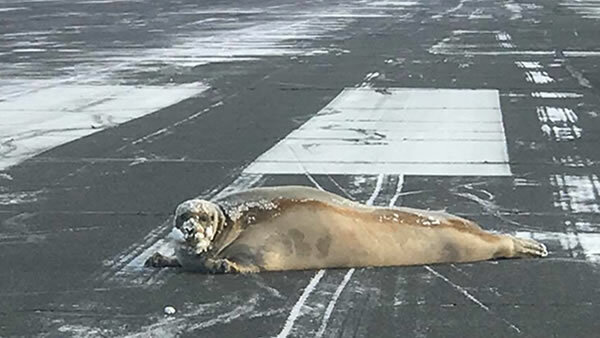 BARROW, Alaska (KGO) -- An airport in Barrow, Alaska, received a surprise visitor on the runway on Monday in the form of a 450-pound bearded seal. Video shows the seal casually lounging on the runway, causing air traffic at the airport to halt until he was removed by sled. The state's department of transportation told aircraft operators to be wary of "low sealings" at the airport.